Book directly online via our online booking! Dragsö Camping is located in the middle of Karlskrona archipelago! 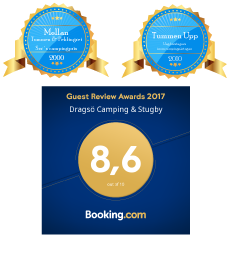 Dragsö Camping & Holiday Village is a four-star modern camping site on its own island in the heart of Blekinge Archipelago. Get to us by bridge connection only three kilometers from Karlskrona center. 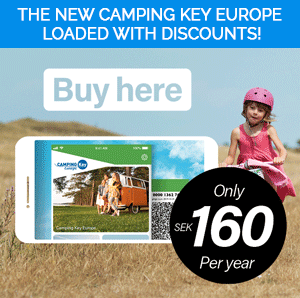 There is a large selection of camping sites for those who come by caravan, camper or tent to just find something that suits you. We offer quality cabins with or without shower and toilet. For those who want something extra we have five cabin suites with different themes. During the holiday season we have a wide range of activities for children and their families. Dragsö Camping is a four-star campsite. 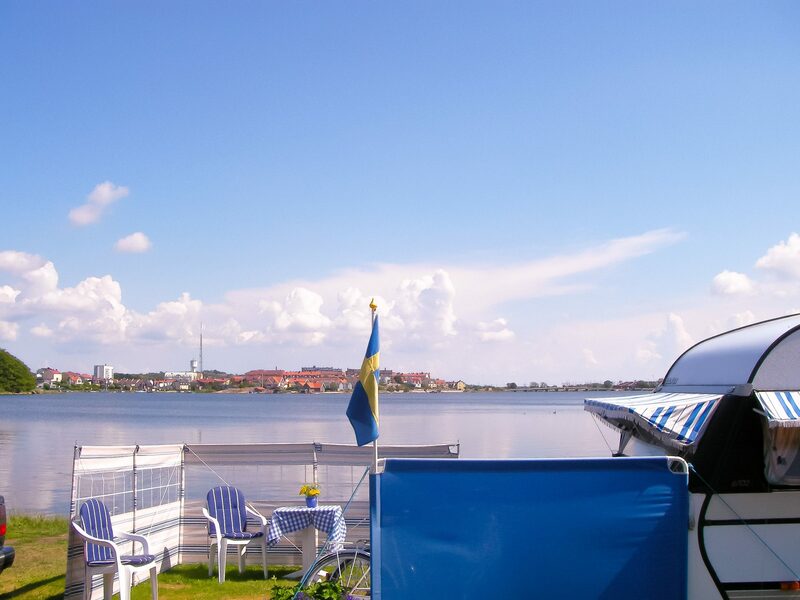 Dragsö Camping is a family campsite located on its own island, only 2.8 km from Karlskrona city center, which in turn is located 9 km from the mainland. At Dragsö you will find a beach for everyone in the family, sandy beach and rocky beach for everybody else. Here you can lie and relax among other visitors or go out on the island and find your own rock. Not far from Dragsö you can find a wide range of restaurants and pubs. To the city center you can go by car, archipelago boat or walk for about 20 minutes. At Dragsö, guests of all ages find something that suits them. Feel free to take a look at our summer program. At the facility you will find Havsviken restaurant. Havsviken's staff are passionate about cooking and aim to provide you with a taste experience worth remembering! Pitch 101-153 and 301-341, 401-430 (exception for pitch 409, 419, 429 and 440) and 501-544 (exception for 505 and 528). The pitches that can not be pre-booked are called unbookable pitches, these can only be obtained upon arrival or during your stay if available. Read more about unbookable pitches and our queue system. An adventure mini golf course that is a miniature of Karlskrona’s World Heritage. The dream of the summer is experienced with us! Did you know that Karlskrona is one of Sweden's most sun-proof places?